Its been a really dry year, California has had almost no rain this year. Yet somehow I bought both my kids rain-boots that will be outgrown by the next time it might possibly rain. So I've been keeping an eye on the tide charts at the Fitzgerald Marine Reserve trying to find a good weekend with a low tide at a reasonable time. This last weekend ended up being perfect timing, we had a beautiful day and good tide conditions right after lunch. So I packed up lunches and the kids and took off to the coast. There were an amazing number of cars lined up to go over to the coast, everyone had the same idea to take advantage of the nice weather. Driving north on 280 connecting to 92 I made the mistake of driving into this and got really stuck before I could make another decision. So we spent 20+ minutes before I could turn off and make my way back to 280 North to drive up to the Highway 35 turn off and connect with Sharps Park Road. Even though it's a bit out of the way, many people just don't use it and it's a much easier drive over to the coast. Parking can be a little tricky, the lot is pretty small and it's a popular destination. There is a well maintained bathroom by the parking area too, along with some picnic tables (and I may have seen a BBQ). The beach is a short walk from the northwest side of the parking area. The weather on the coast can turn on a dime, so it's always a good plan to bring layers just in case. It's still lovely to visit here on a cool overcast day - and you don't have to stress as much about sunscreen. 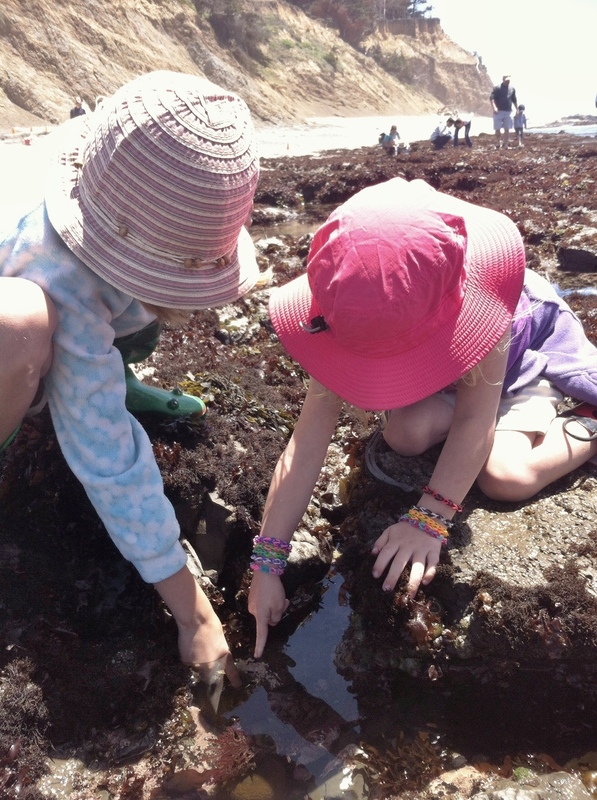 To get to the tide-pools there is a sandy staircase and you do have to cross a rocky area and a small river outlet. So be sure and wear appropriate shoes. 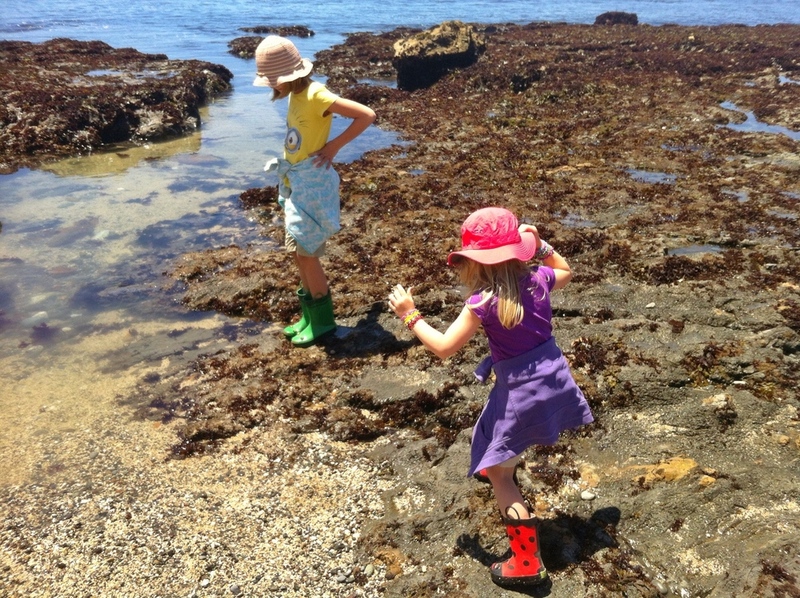 We opted to go with our rain-boots this day which may have looked a little silly (admittedly) but worked out incredible well for this beach. 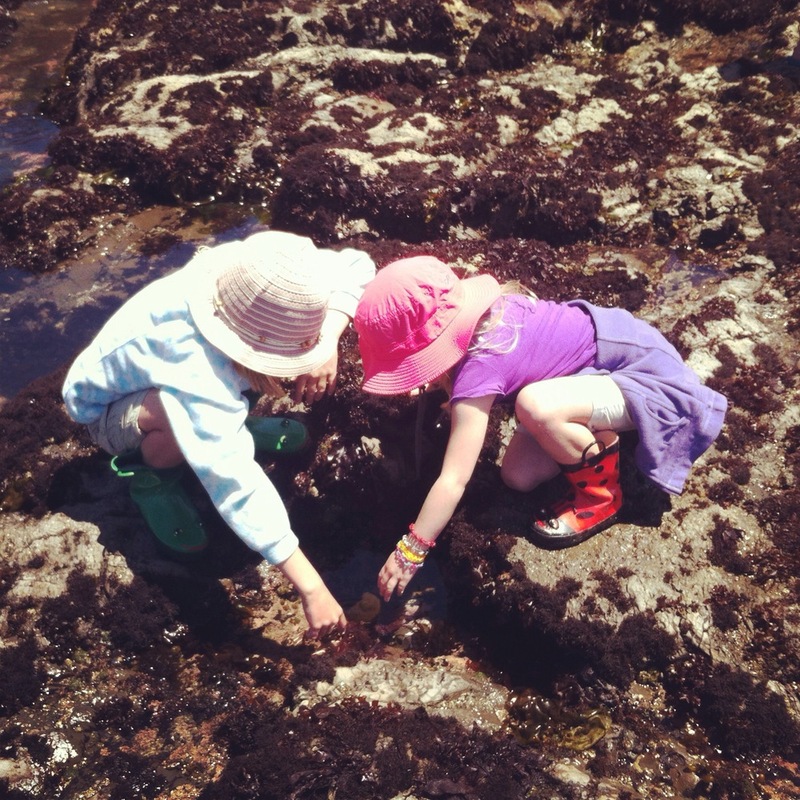 The tide-pools have a nice reef that extends around the perimeter and it makes the water here a lot less dangerous, still you want to be alert and keep your kids close. If possible it's best to get to the Reserve at the beginning of the low tide so you aren't surprised by the tide coming in, so pay attention to the time and the tide chart. 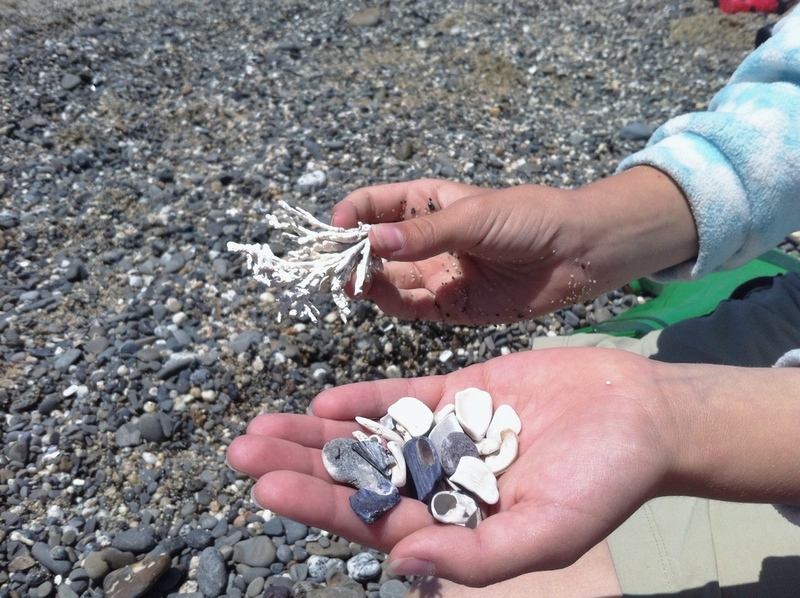 This beach is protected, which means that cute shell your child finds need to remain on the beach - it's part of the ecosystem here and we need to respect that. Take only pictures. Also when we were visiting, there were seals sleeping at the southern end of the beach. The rangers were very on top of it marking the area off with orange cones and pointing a telescope at the seals you could go have a peek through. However you should never approach a seal, then can move pretty quick and they probably weigh more than you do. We spent an hour walking around looking at everything we could till we got as far south as we could on the beach, then took a break, had a snack on the sand, let the kids play a bit, and re-explored everything again moving north. It's really easy for the kids to get excited and want to run around, but it is slippery here so try and keep things calm. Also when you see a ranger, chat with them as they probably know where to look for the really interesting stuff.